Ginebra’s magical run to its first championship eight years has inspired fans to bring back a beloved anthem ‘Pag Nananalo ang Ginebra,’ most notably by online singing sensation Marge Cadiz’s cover song that went viral during the Governors Cup Finals against Meralco. 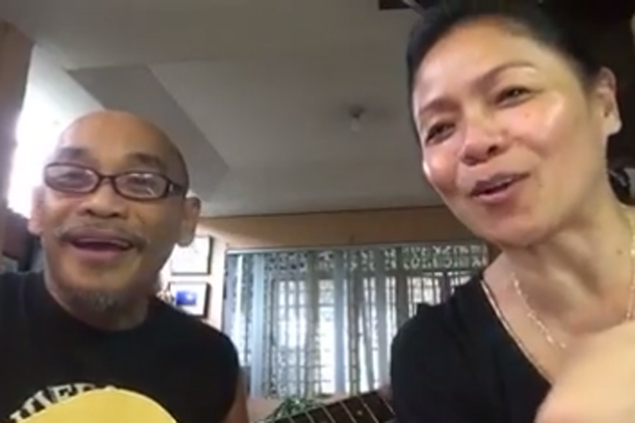 But a day after the Gin Kings’ conquest, the anthem’s composer Gary Granada came out in a video posted by renowned singer Bayang Barrios, as the duo reconnected for the first time to perform their classic collaboration online. Ironically, Barrios’ version of Granada’s popular song was the one updated by Cadiz with new lyrics to connect with the present-day team. But nothing beats the original. As of posting time, Barrios’ video has been viewed more than 26,000 times, with more than 2,000 likes on Facebook. Watch it below.